As they plot Beijing’s course through the international uproar over Russia’s intervention in Ukraine, they are torn between conflicting instincts, writes csmonitor.com. On the one hand is a strong reluctance to stand with the West against Moscow – a strategic partner that never openly criticizes China. But on the other is the cardinal principle of Chinese foreign policy – noninterference in the internal affairs of other countries. But neither has China condemned Russia’s actions; officials here equivocate when they are invited to join the Western chorus of outrage. It is easy to see why China is so insistent on the principle of noninterference: the government is worried about foreigners meddling in China’s own border provinces, such as Tibet and Xinjiang, where Beijing is unsure of local peoples loyalties. Chinese leaders are especially displeased by the referendum that the Crimean parliament has called for March 16 to choose whether the autonomous region should break away from Ukraine and join Russia. "That would be like Taiwan’s destiny being decided only by Taiwanese,” says Jin Canrong, a professor of international studies at Renmin University in Beijing. That would be anathema to Beijing, which insists that Taiwan – a self-governing island – is an integral part of China. "China always looks at these situations through the lens of how they could impact their own security down the road,” she says. In a telephone conversation with Russian President Vladimir Putin, Chinese President Xi Jinping said that "China believes that Russia can coordinate with other parties to push for the political settlement of the issue,” according to an account of the conversation published by the state-run news agency Xinhua. "China supports proposals and mediation efforts of the international community,” Xi was quoted as saying. 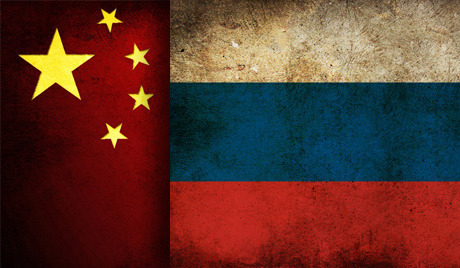 China and Russia, two neighboring giants, have their differences but are usually on the same side in diplomatic battles at the United Nations Security Council, where both are permanent members, along with the United States, Britain, and France, giving them veto powers. Russia has used its veto six times since 2007. On five of these occasions, Beijing has cast its own veto alongside Moscow. Tellingly, the only time that China broke with Russia came after Russian troops invaded Georgia in 2008.